MANILA — The implementation of the Common Effective Preferential Tariff scheme under the ASEAN Free Trade Agreement (AFTA) in 2015 may imperil the livelihood of about 62,000 sugar farmers and 600,000 sugar workers in the country, the Sugar Regulatory Administration (SRA) said. The SRA said CEPT will cause tariff on imported sugar to decrease to five percent and will result in an influx of imported sugar and consequently lower mill site price of locally produced sugar. 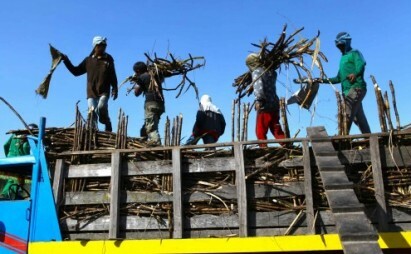 In reaction to this, Labor Secretary Rosalinda Dimapilis-Baldoz said the Department of Labor and Employment is developing a Human Resource Development Plan to increase the productivity and readiness of workers in the sugarcane industry for AFTA in 2015. The HRD Plan, Baldoz said in a news release, will focus on the labor aspect of the sugar industry in support of the Sugarcane Industry Roadmap of the SRA. She said DOLE will submit the Plan to national government agencies and the Sugar Tripartite Council in the second week of November. Last month, the DOLE, in coordination with local government units, workers groups, and other government agencies, conducted focused group discussions (FGDs) with unorganized mill and field workers, agrarian reform beneficiaries, and small planters in 10 major sugar producing regions, specifically in Negros Occidental, Bukidnon, Batangas, Negros Oriental, Iloilo, Tarlac, Capiz, North Cotabato, Davao del Sur, and Cebu. The FGDs will continue until September 14. After the FGD, the DOLE, through the BWSC, shall conduct district level consultations in 26 sugar mill districts, which will involve LGUs, NGOs, the business sector, and the SRA. It will then hold a two-day cluster planning sessions in the respective Island Clusters in October. During the planning sessions, the respective DTCs will present and consolidate regional plans into the National HRD Convergent Program. “In order to keep pace with the competition, the government aims to increase the efficiency and competitiveness of the sugar industry. This can be done not only through an increase in production, but also through the enhancement of productivity and empowerment of sugarcane field workers, small sugarcane farmers, mill workers, and other workers in the sugar industry,” Baldoz said.